First, a few tips to help you choose the right gift. 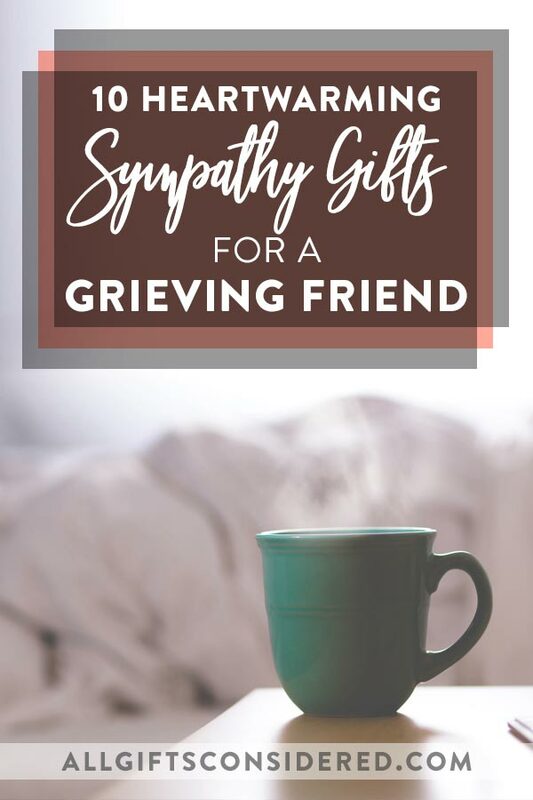 There are several angles you can take when choosing a sympathy gift for your grieving friend. You can go with a practical gift, like a handy gift basket of household items or a massive Costco-sized supply of toilet paper. (Yes, they will appreciate it. No one wants to go to the store for TP after they have lost a loved one.) See items #1 and 2, below. The practical sympathy gift shows that you want to help meet their needs during this difficult time, that you are there through thick and thin. You can go with a decadent gift, for instance fine wine, fine chocolate, expensive memorial jewelry, or a day at the spa. A decadent sympathy gift tells the recipient that they are a valued person, even in the midst of their grief, and that you support them no matter what they are feeling. Another popular angle is to give a personalized gift. The personalized bird feeders, blankets, and tumblers are great examples. (See items #4-6, below.) 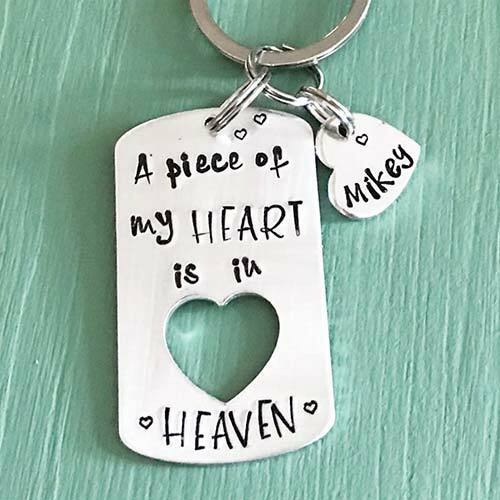 A personalized sympathy gift typically has the decedent’s name and dates inscribed on it, so it puts the focus back onto the memory of the departed loved one. This type of gift honors the memory of the deceased and shows that you are coming alongside your friend to grieve together. Lastly, you can give a classic sympathy gift. You know the type: flowers, a memorial plaque, a candle, a photo frame, a necklace. Classic sympathy gifts show your genuine love and affection towards both the deceased and your grieving friend, and are always a great choice when you are not sure what to get. 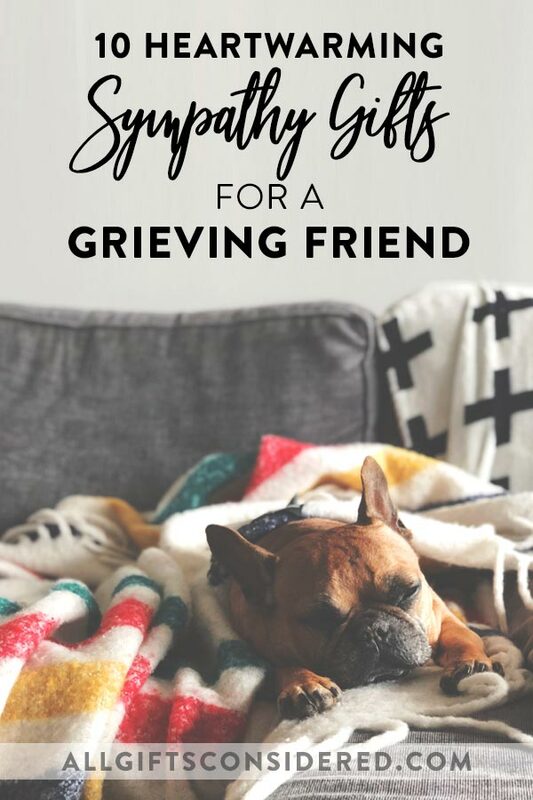 Each of these types of sympathy gifts could be right for you to give to your grieving friend. It depends on who they are, who you are, and your relationship. Flowers are a great gift to send to a grieving friend. However, some people don’t like the fact that flowers will eventually lose their beautiful bloom, wilt, and die. For some, that is an unwelcome reminder of the death of their loved one. Traditionally that has actually been an important and symbolic feature of sympathy flowers. It’s a reminder of reality that helps the grieving person face things head-on. The flowers represent the life cycle in miniature – they bloom brilliantly, then slowly fade away until the time comes to lay them to rest. The very fact that flowers are so delicate remind us of the frailty of this life, and help us appreciate it as a gift. Still, many people prefer to send something other than flowers when choosing a gift for a grieving friend. Perhaps you know that they have plenty of flowers already, or maybe you want something more meaningful and personal, or perhaps you simply want to stand out from the crowd with a unique gift idea. If that is your instinct, go with it! You know your friend best, so go with what feels right. Of course you’re going to Google a few things to make sure you say the right things (or don’t say the wrong things… read this for help in those areas). And you’re already reading this article to help guide you to the best gift idea. We have plenty of suggestions to help, so browse through until you find the perfect sympathy gift for your friend. Few things are more touching than a hand-picked selection of goodies and practical household items. You can stick with things that are helpful and useful, like paper goods and pantry items, or go the opposite route with completely gratuitous stuff like a pampering bath set or a haul of luxurious wine, coffee, or chocolate. The nice thing about a DIY sympathy gift basket is that it has a personal touch, being obviously hand-picked and arranged, yet since everything is in store-bought packaging it doesn’t have the, ahem, “homey charm” given off by a gift that you literally make by hand. A Here for You Compassion Package includes the little thoughtful things that come in so handy when your grieving friend is feeling overwhelmed. This is the perfect “practical” sympathy gift to send when you can’t come and drop off something personally. 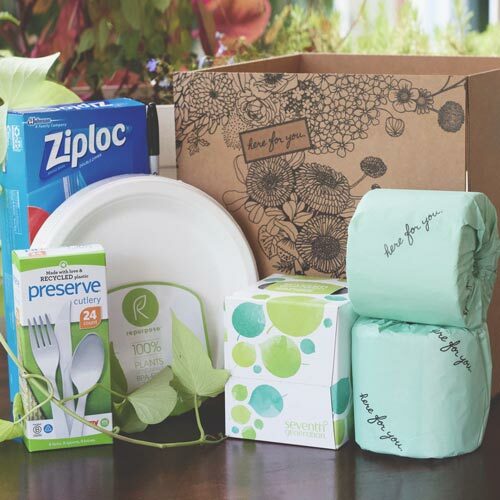 These gift boxes are filled with things like disposable plates, cutlery, tissues, and a sympathy card. Remember, for someone in the midst of grieving, going to the store for toilet paper can sometimes seem like a daunting task. 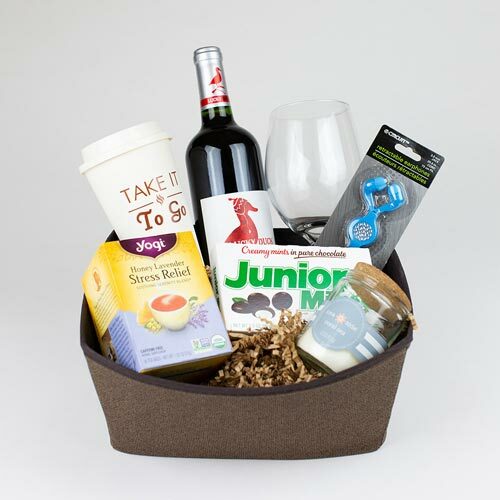 This gift box will help your friend in a very practical way while showing your love and support. Optional upgrades and add-ons are available, with plenty more household items plus nice additions like bath bombs and tea samplers. A personalized bird feeder makes a heartwarming sympathy gift for several great reasons. First, it is especially touching because it is custom engraved with the name and dates of your friend’s loved one. You can add a poem or choose from a variety of artwork themes or military service emblems, and even have the back side engraved with additional messages. Second, it is a unique gift. They will probably receive plenty of food and flowers, perhaps jewelry or mugs or photo frames. Even if they don’t receive those things, they probably already have them around the house. This will most likely be their first personalized bird feeder. As a bonus, it goes outside, so it’s not some trinket that will take up space or end up in a junk drawer. Third, a bird feeder celebrates life. It’s used to feed the birds, sustaining them and drawing them close so your friend can experience the healing balm of nature by simply looking out the window. Birds are also symbolic of hope, life, and taking flight to new horizons. These are fitting themes to honor and celebrate the life of a loved one with a memorial gift. Grief is tiring work. Your friend will need plenty of time to rest. What better condolence gift could you come up with than a super-soft and personalized throw blanket? 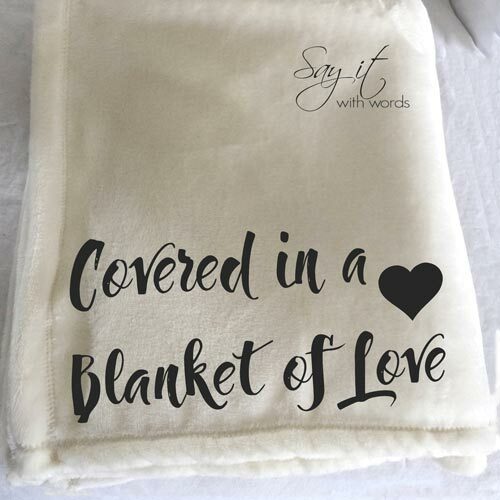 This cozy blanket measures 60″ x 50″ and includes their name (or the loved one’s name) plus the quote, “Covered in a blanket of love.” The words are sublimated on to the blanket, a process which ensures that it is permanently affixed and will not crack, fade, or peel off. 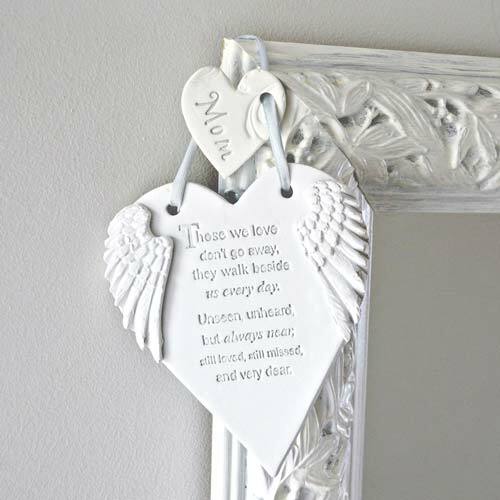 You can also choose to replace the quote with your own custom message to create a truly special gift. If that’s a little over your budget or takes too long, you could instead simply give a regular throw blanket like this lovely thing. 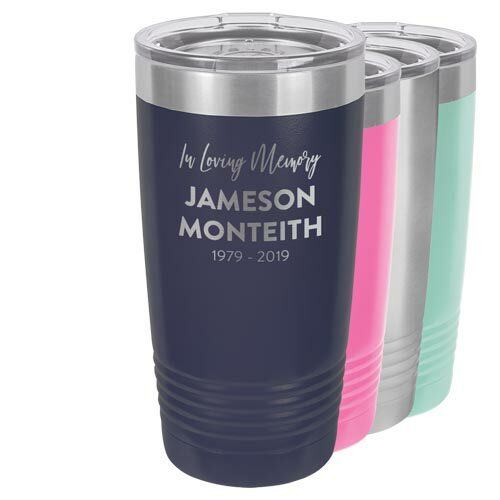 A personalized memorial tumbler effectively combines the elements of useful, heartwarming, personalized, sweet, unique, and beautiful all into one great sympathy gift. These tumblers are insulated and vacuum sealed to ensure that drinks stay hot (or cold) for hours on end. Include a bag of coffee or a selection of tea to make it a literally heartwarming gift. It’s a great way to honor your friend’s loved one with a coffee mug they will actually use. BTW, people in mourning almost always love to hear the person’s name. It almost seems backwards; we typically assume that they wouldn’t want to be reminded of their loss. But the best grief counseling advises (and anecdotal evidence agrees) that using the decedent’s name has a positive effect. Rather than effectively “erasing” the individual (and validity of the mourner’s grief), you are affirming the impact of their life. This is why a personalized tumbler (or bird feeder, blanket, etc) with an inscription of the loved one’s name makes a great sympathy gift. The great thing about this remembrance keychain is that it is small and unobtrusive, yet meaningful and ever-present. Your friend can attach it to their keys and it will go with them wherever they go – whether at work, on a jog, running errands, or on a night out with friends, they’ll always know that a little piece of their heart is in heaven. It’s a cute and affordable sympathy gift that includes hand-stamped personalization. This handcrafted clay heart features a lovely memorial poem, angel wing adornments, and a smaller personalized heart. The ornament set connects with your choice of pink, blue, or silver ribbon. Put together, the result is a heartwarming gift that your friend will cherish in memory of their departed loved one. It’s the perfect gift to send to a friend far away. You can just imagine the impact your gift will have when they find a surprise package on their doorstep and open it to find this gorgeous personalized heart ornament. 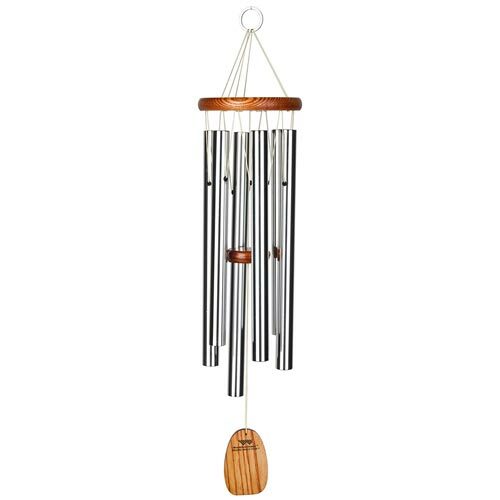 These wind chimes are set to the tune of the beloved Christian hymn, Amazing Grace. The gentle ringing of chimes when the wind blows will remind your grieving friend of their loved one in a very special way. This is a popular sympathy gift, as it is affordable, timeless, and (like the bird feeder, above) goes outside so it won’t clutter up your friend’s home. The simple folk tune of Amazing Grace resonates deeply with many believers, and brings to mind the words of the hymn that point to salvation by faith in Jesus Christ, our only hope in life and death. 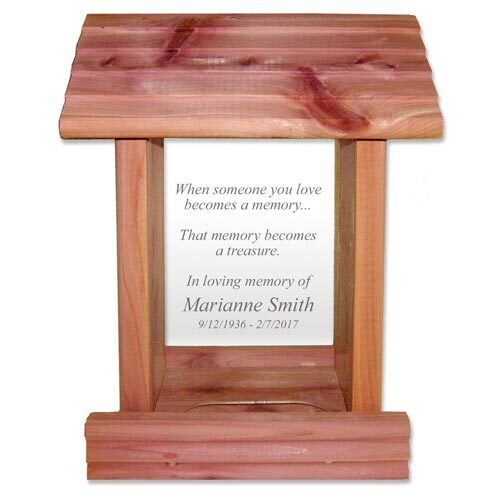 This handcrafted wooden memorial plaque is made in Oregon from solid wood and laser etched with a memorial quote and in loving memory inscription. 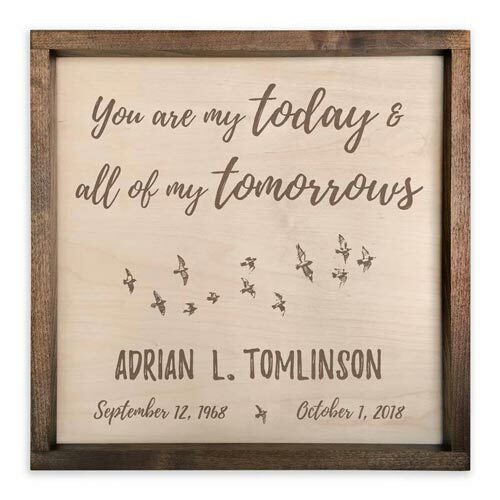 Birds signify the soul’s journey on into the next life, and the wall mounted sign features the loved one’s name and dates personalized along with the quote, “You are my today and all of my tomorrows.” A Northwest Gifts Original. The “Comfort Bowl” is a sympathy gift in a classic style, but with a contemporary twist. 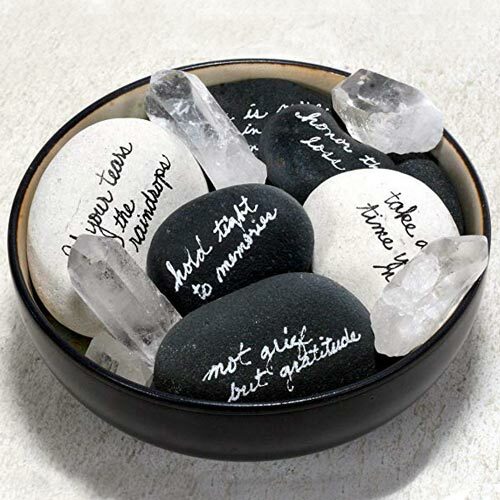 The bowl is filled with light and dark rocks with crystals, and each rock features a hand-written message or note of encouragement. The sympathy messages include quotes like, “Hold tight to memories,” and “Take all the time you need.” A lovely and heartwarming gift for your friend in mourning, and one that will last for years to come. We’ve written a lot about sympathy and memorial gifts. The above list is our take on the very best gift ideas for a grieving friend, but it’s not exhaustive by any means.